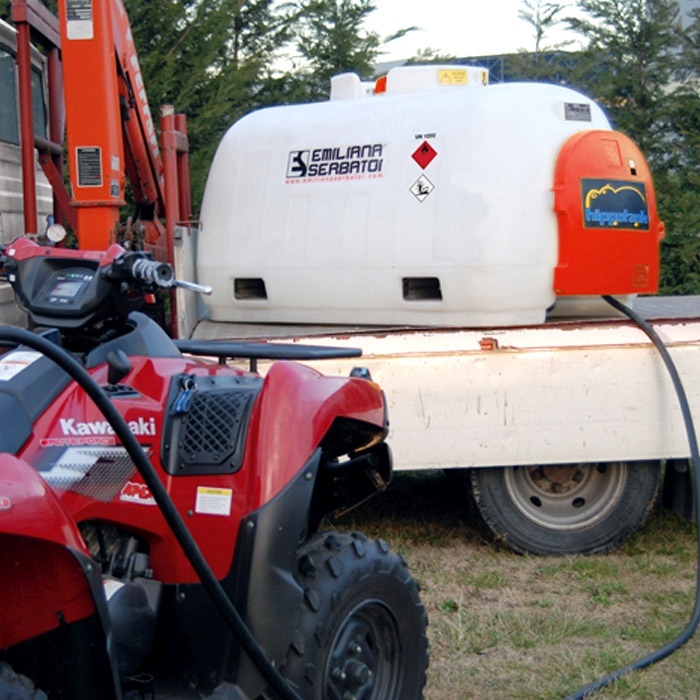 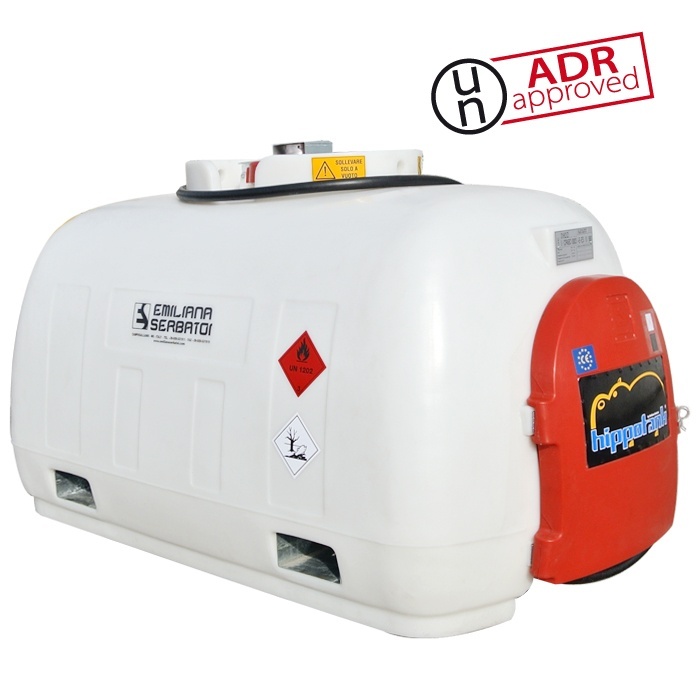 Hippotank is a (IBC) polyethylene tank for Diesel fuel transport approved by Italian Ministry of Transport in accordance with ADR regulation. 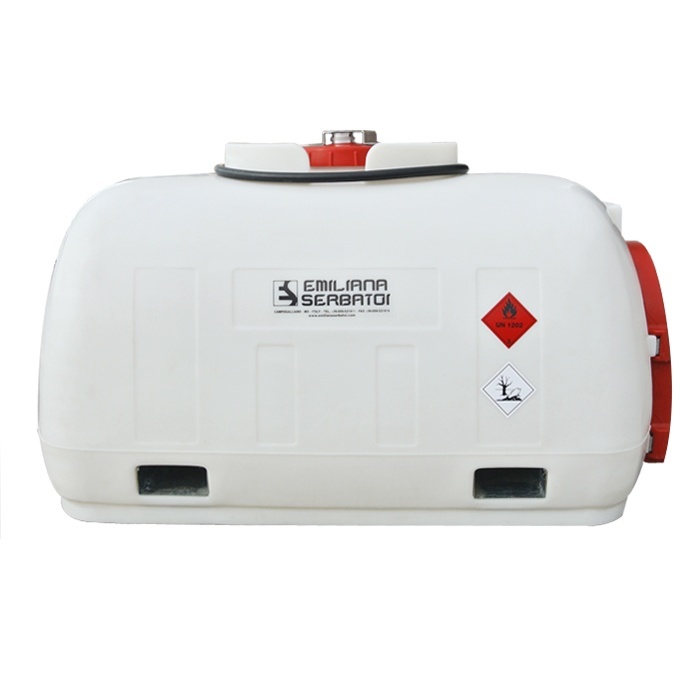 The overall activities of research, conception, design and development enabled Emiliana Serbatoi to achieve a stunning product. 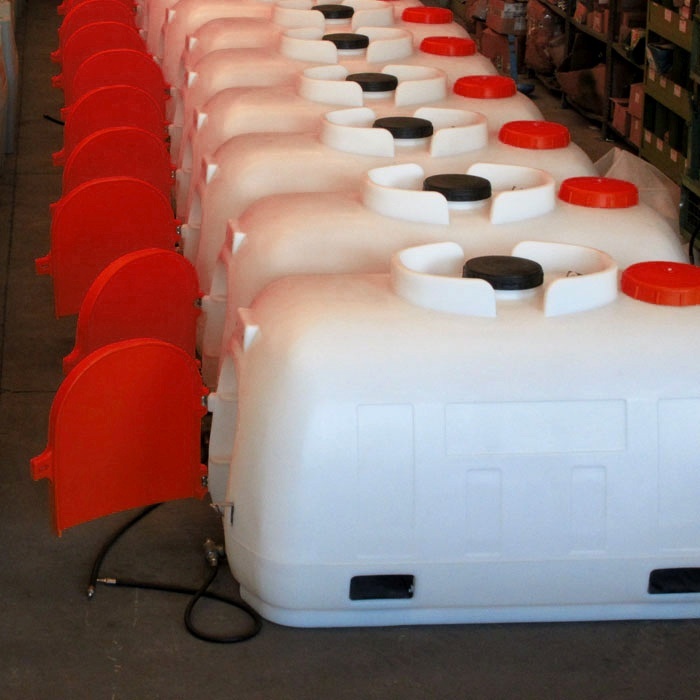 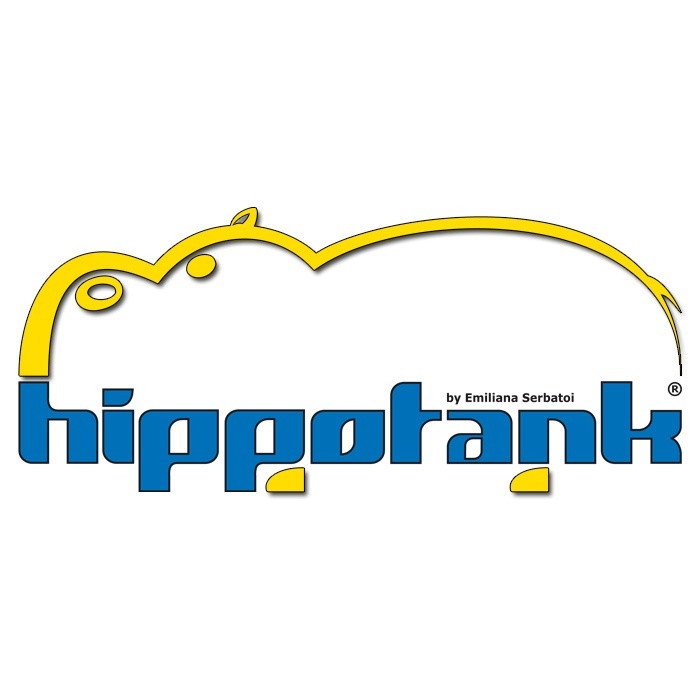 Light, cost-effective, corrosive resistant and compact, Hippotank was the first polyethylene tank designed and manufactured in compliance with ADR regulation and UN marked. 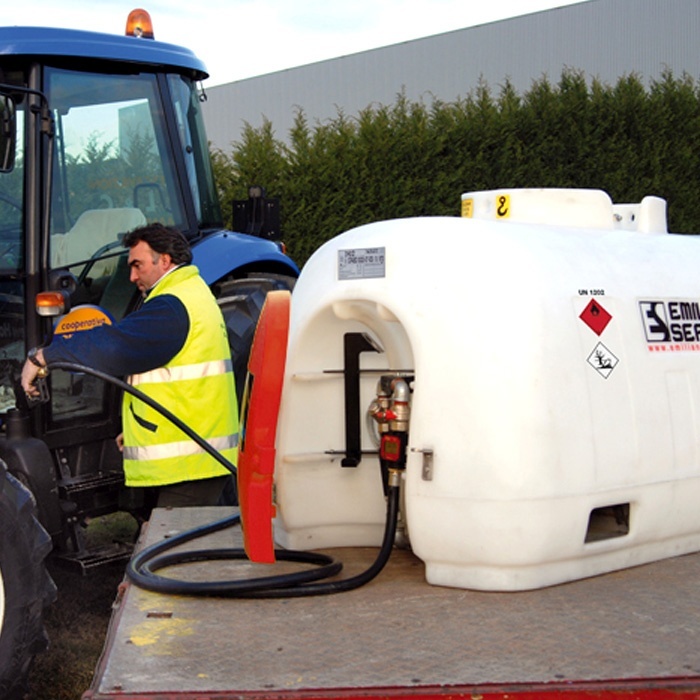 It is highly innovative in terms of features and technical contents, its capacity is 960 liters and it is equipped with a fuel supply unit. 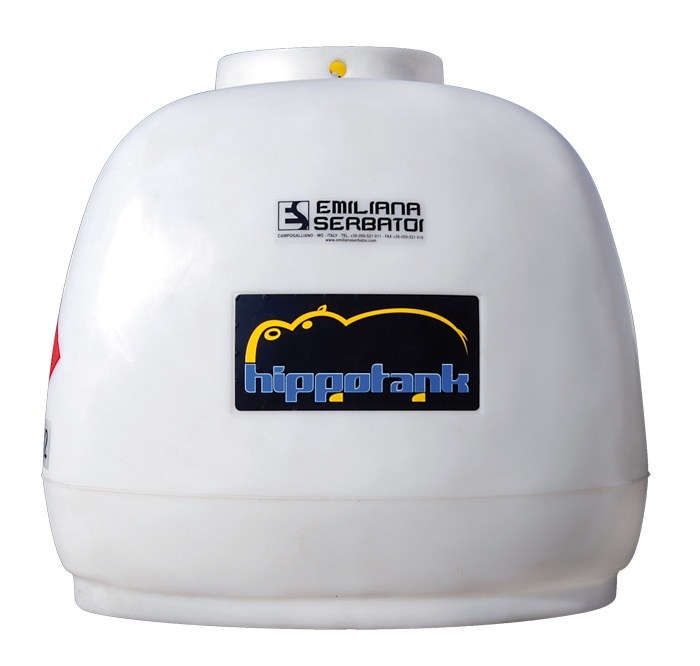 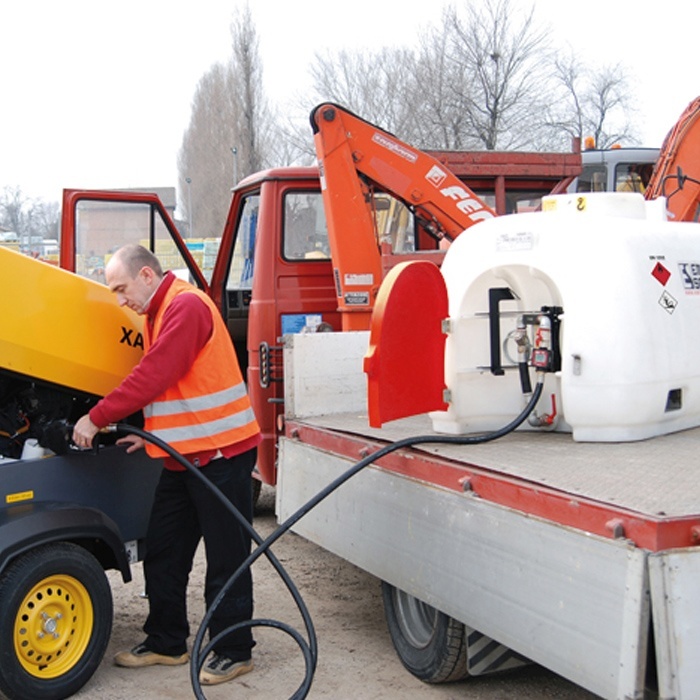 Hippotank combines safe transport according to the regulations in force with key commercial advantages as cost effectiveness, compact size and light weight. 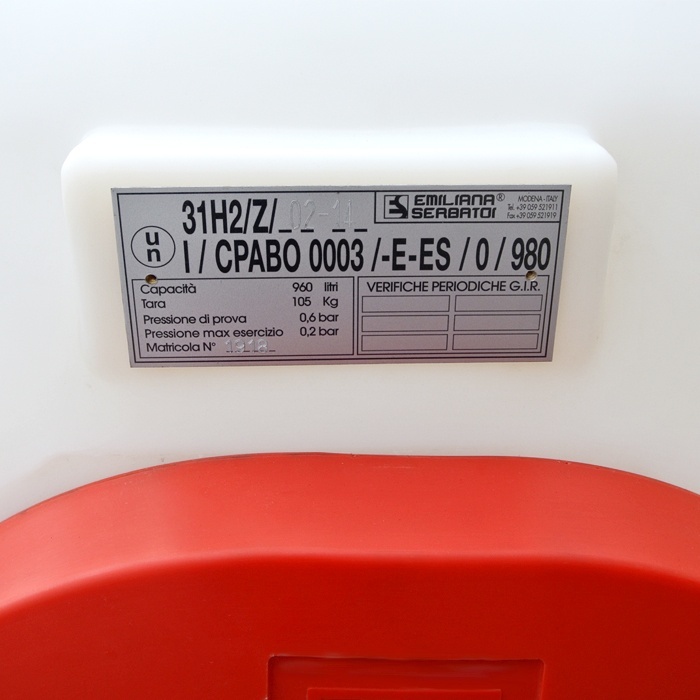 Manufactured in rotomolded linear polyethylene, a material that ensures excellent resistance against shocks, temperature changes, chemical agents and the bad climate conditions. 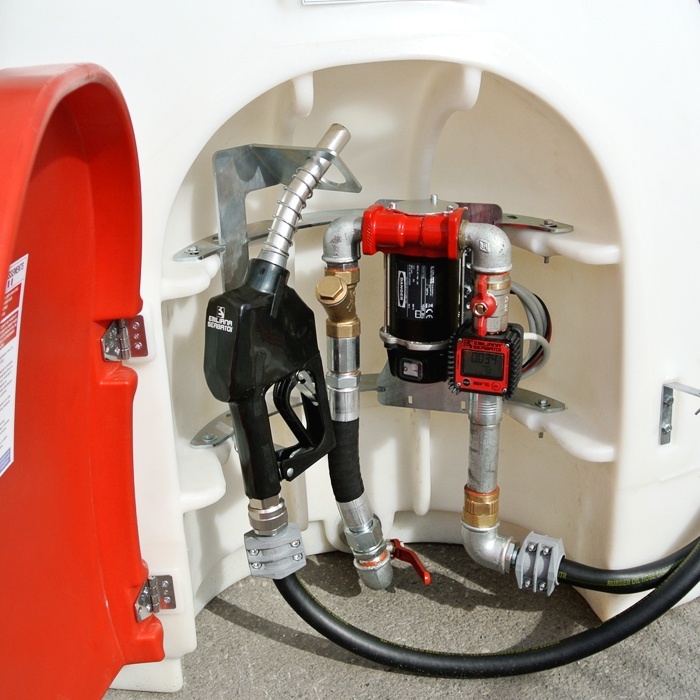 Its transparency also allows a constant sight monitoring of the fuel level. 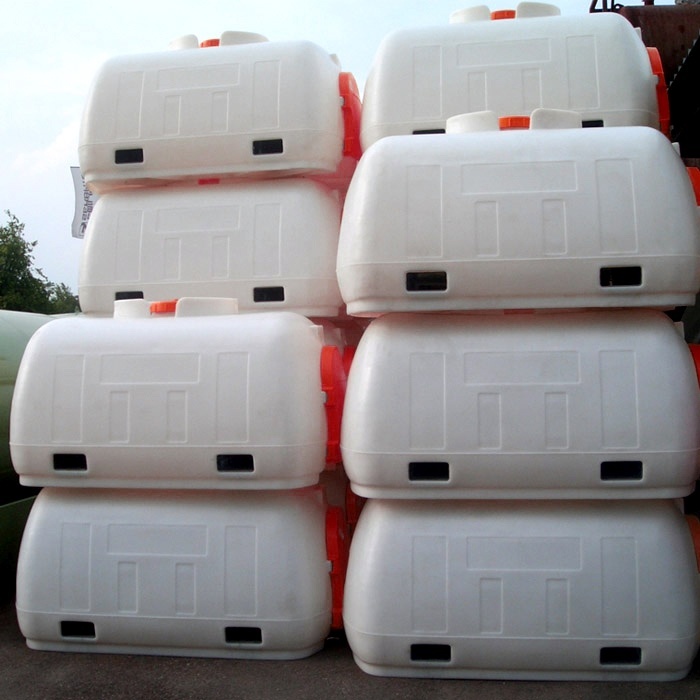 It can be easily washed with regular detergents thanks to its highly smooth surface. 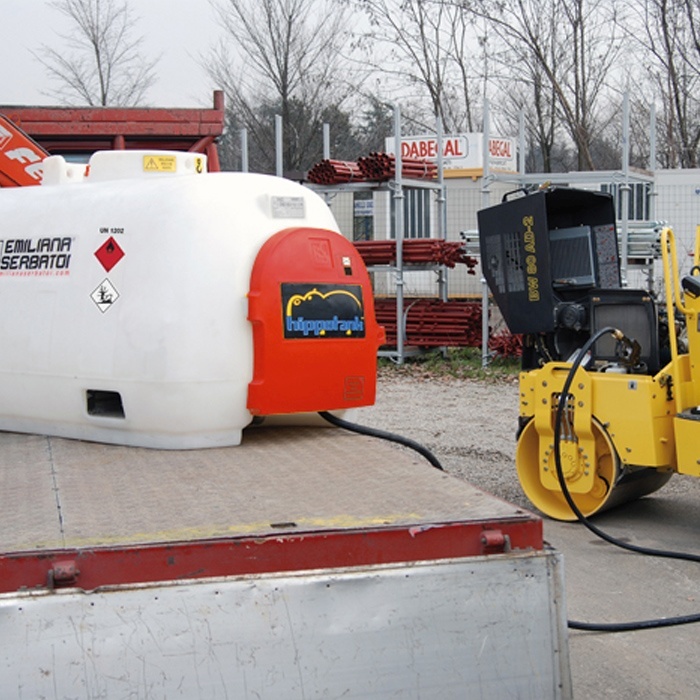 Side pockets, reinforced by zinc-coated carbon steel profiles, allow lifting with forklift (full load). 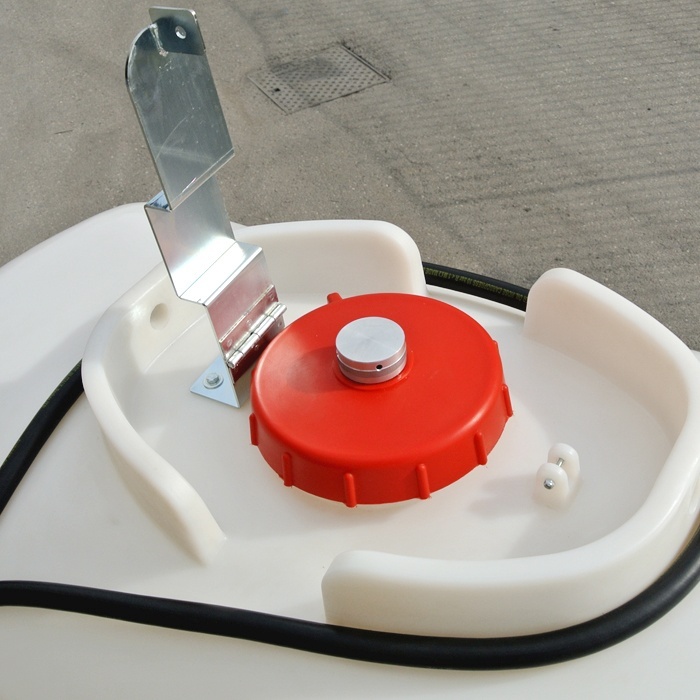 220 mm diameter top hatch with lockable screw lid and air vent device. 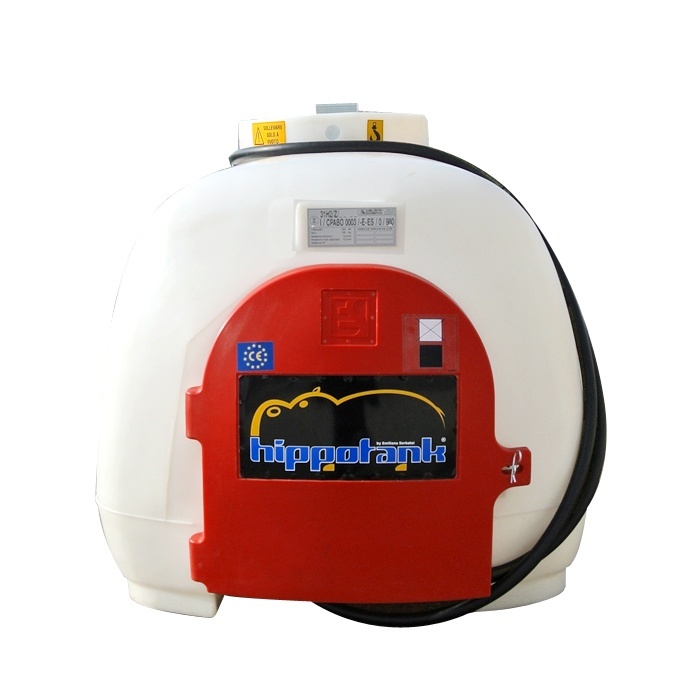 12 or 24 V DC fuel pump, flow rate from 40 to 60 l/min, 5m rubber hose, automatic nozzle and digital turbine flow meter, model K24. 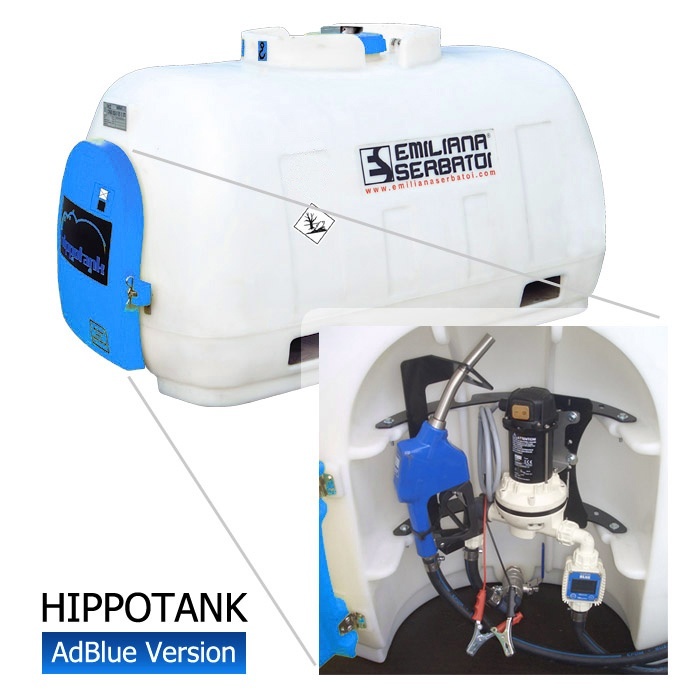 Available Hippotank version for AdBlue transport and dispensing.